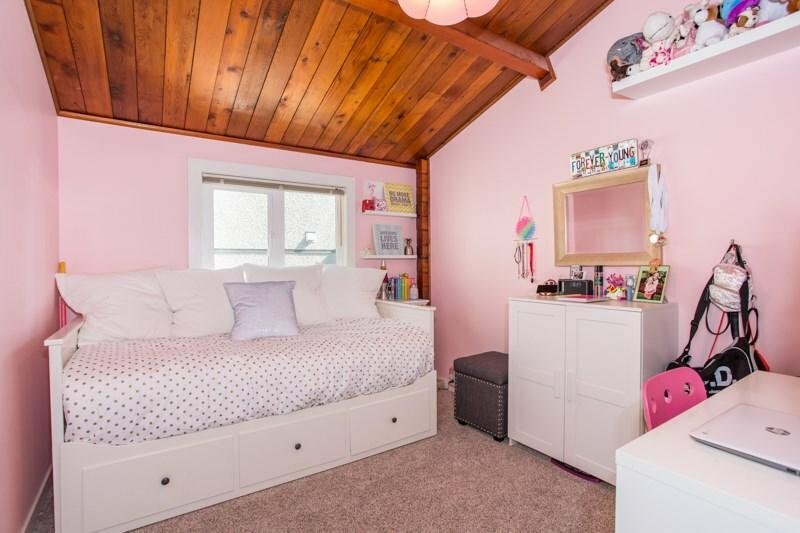 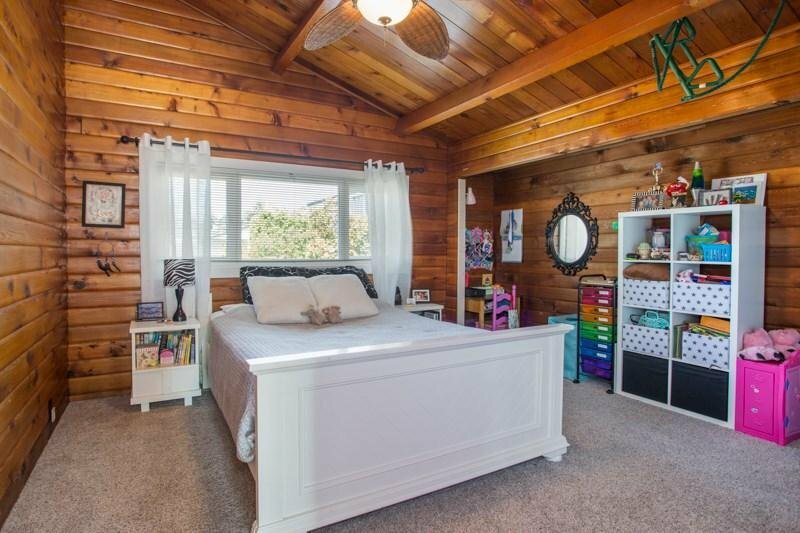 VERY UNIQUE , VIEW panabode home. 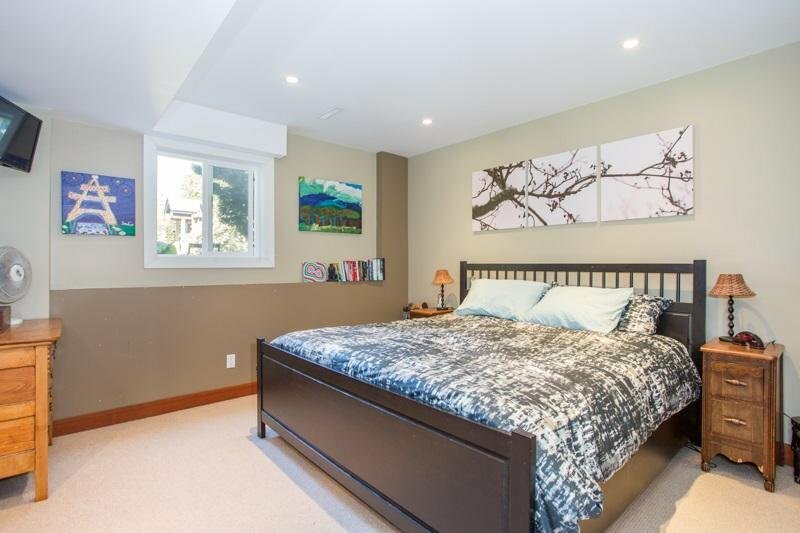 Main floor has FANTASTIC REC ROOM/ BAR , rock fireplace , den area , large laundry/mud room as well as large master bedroom & Newly renovated MBDRM ensuite bath ,Very spacious ,with large walk in shower , bleached pine feature wall , 2 sinks , & white Marble look tile !!! 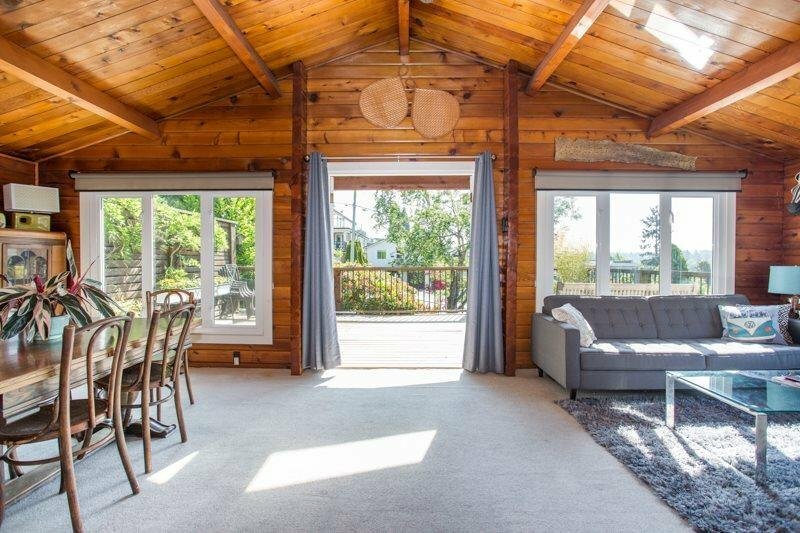 Upstairs main is all panabode with vaulted ceilings. 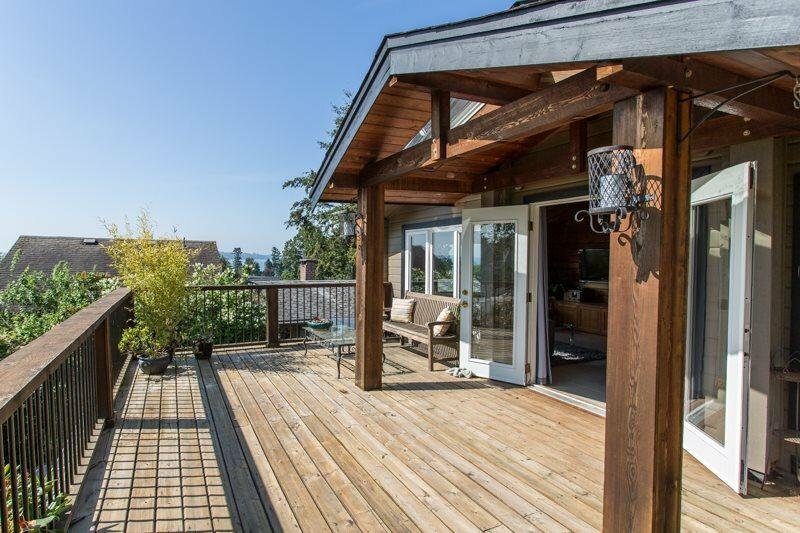 Views from every room, front & rear decks. 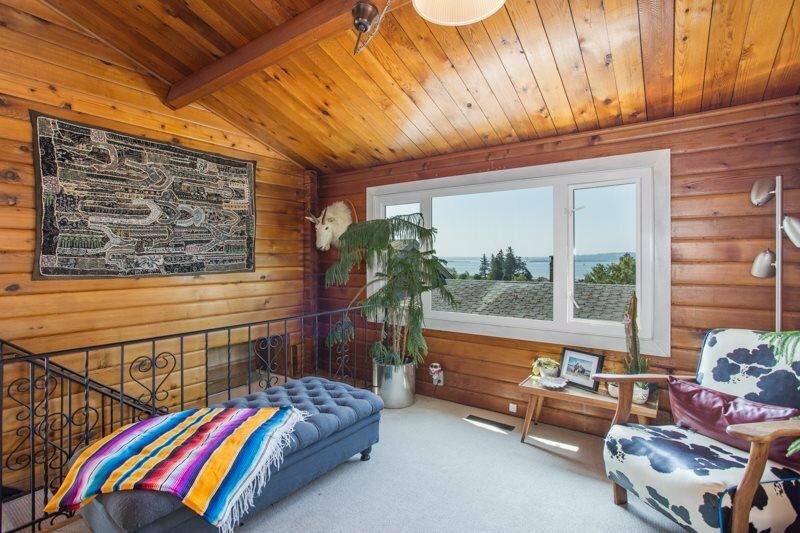 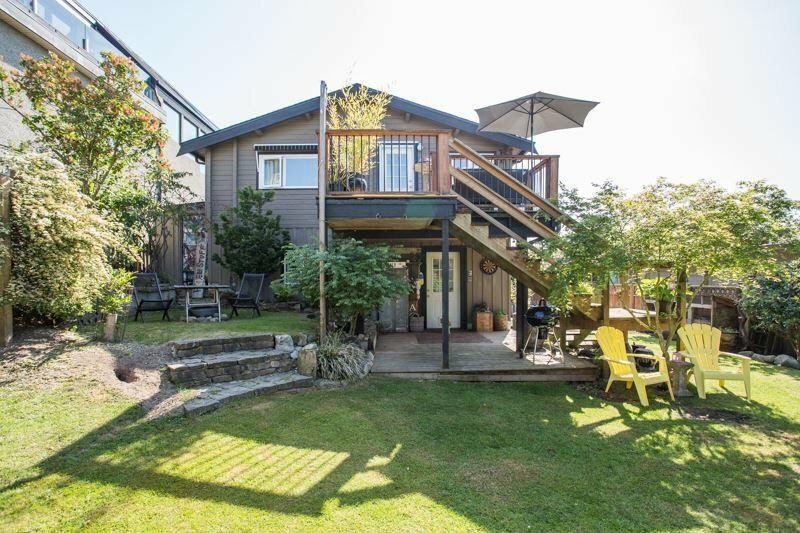 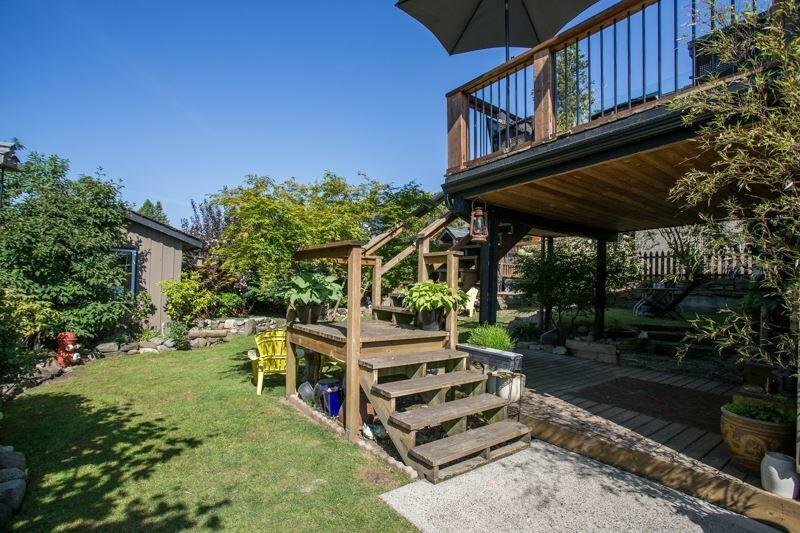 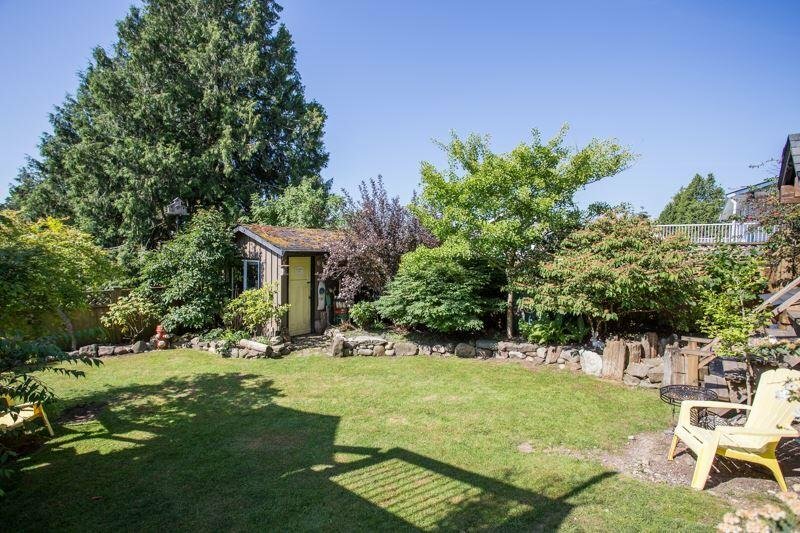 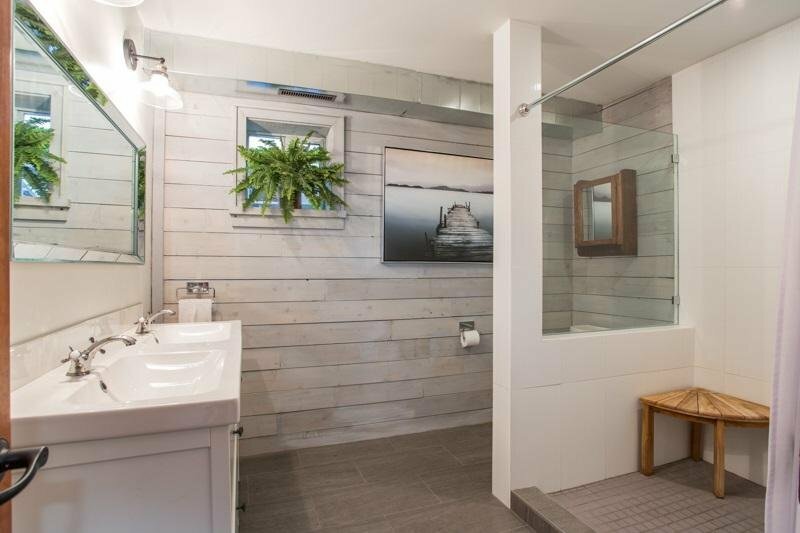 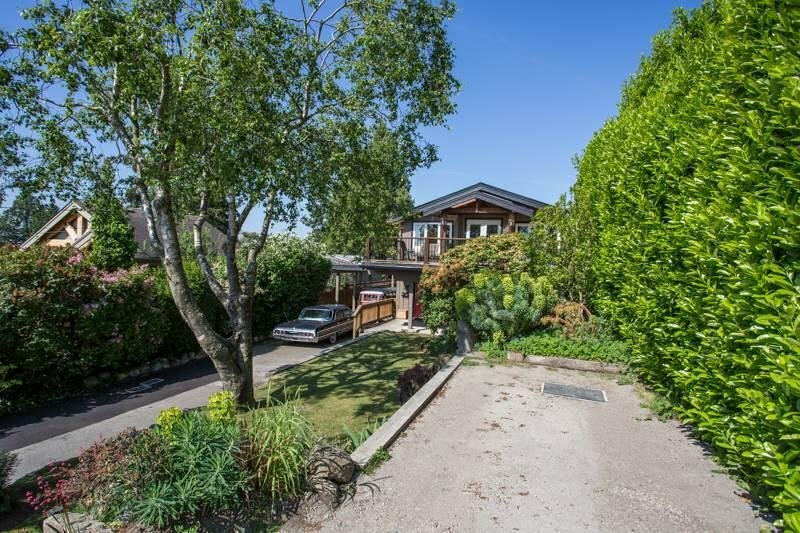 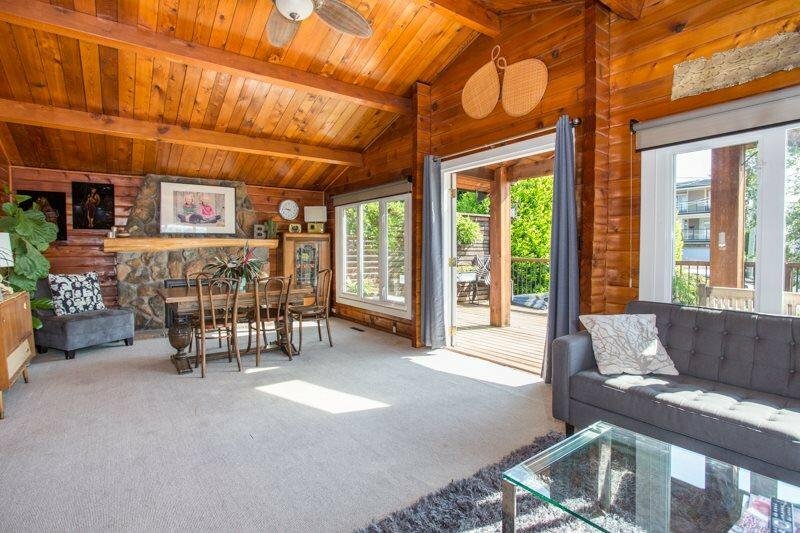 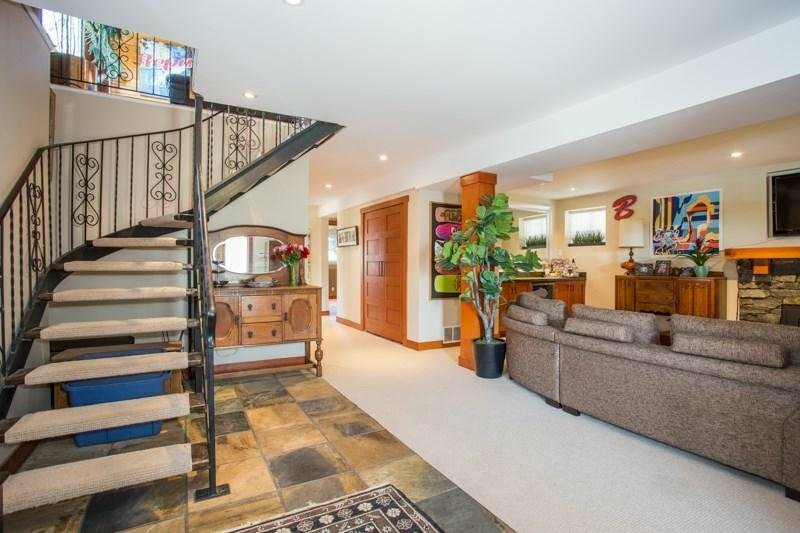 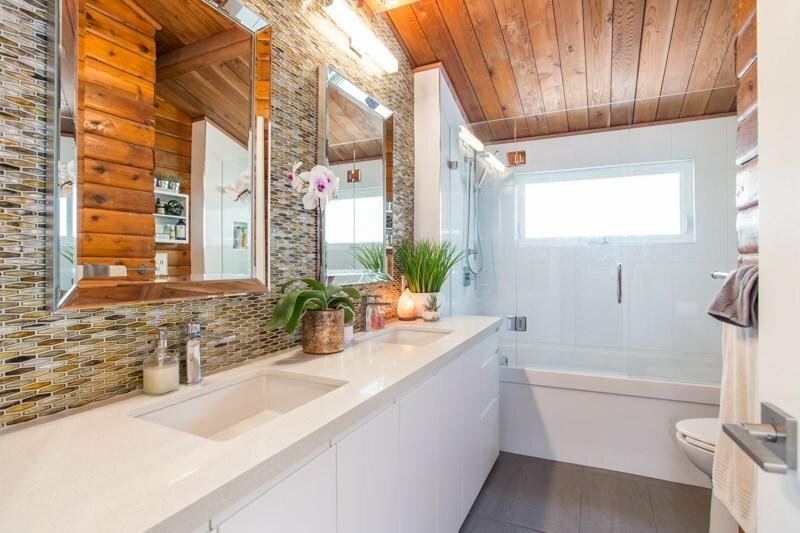 Feels like your lake home , but in White Rock . 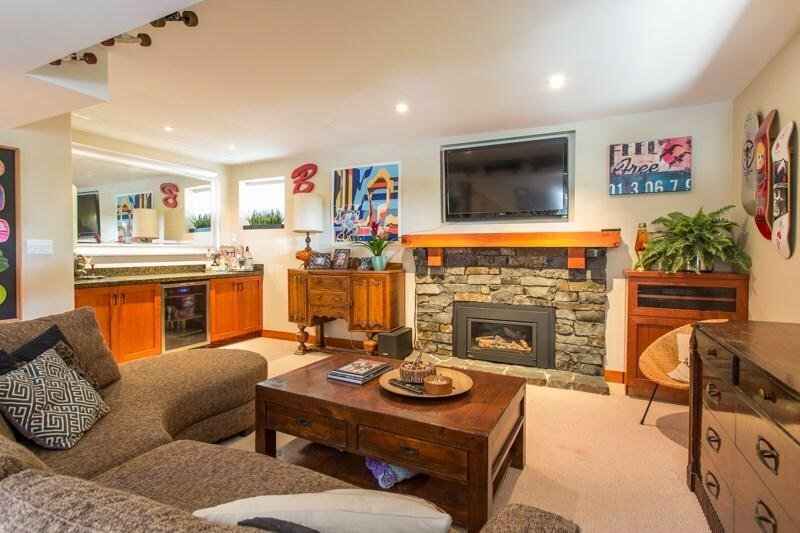 Another updated gas fireplace upstairs , large living room , large kitchen , 2 bedrooms and renovated bath . 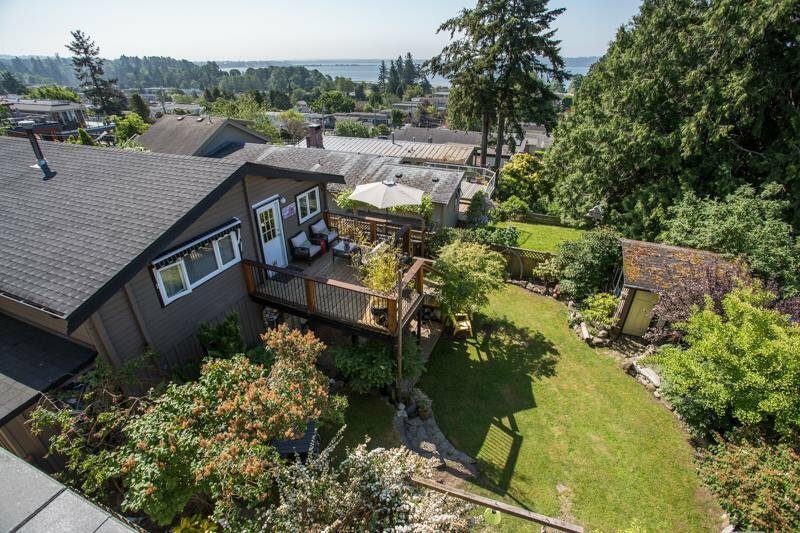 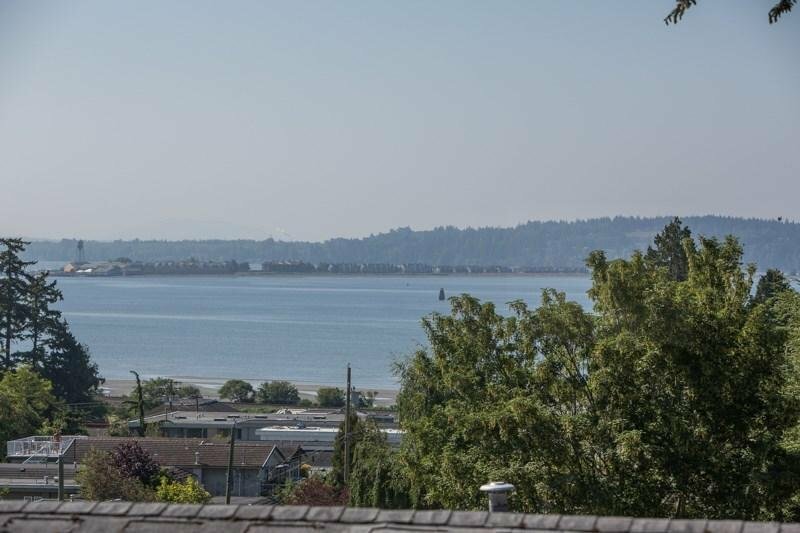 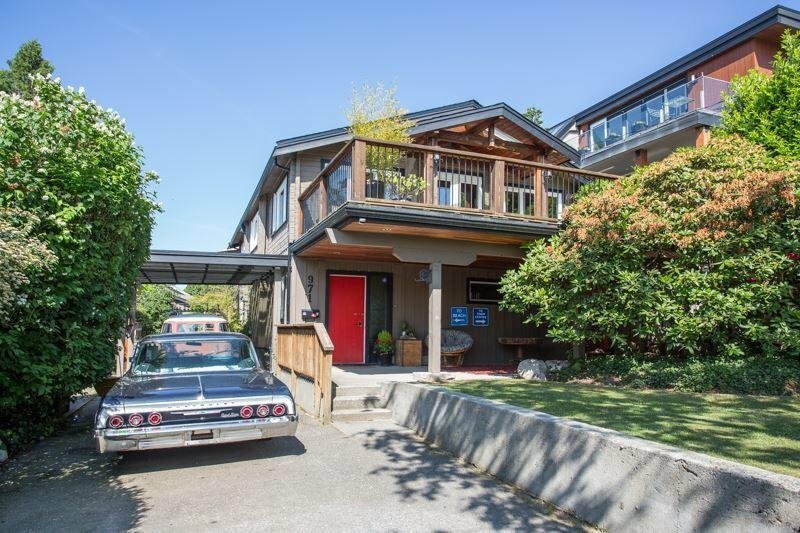 GREAT VIEWS OF OCEAN , MT BAKER, close to schools/highway/beach. 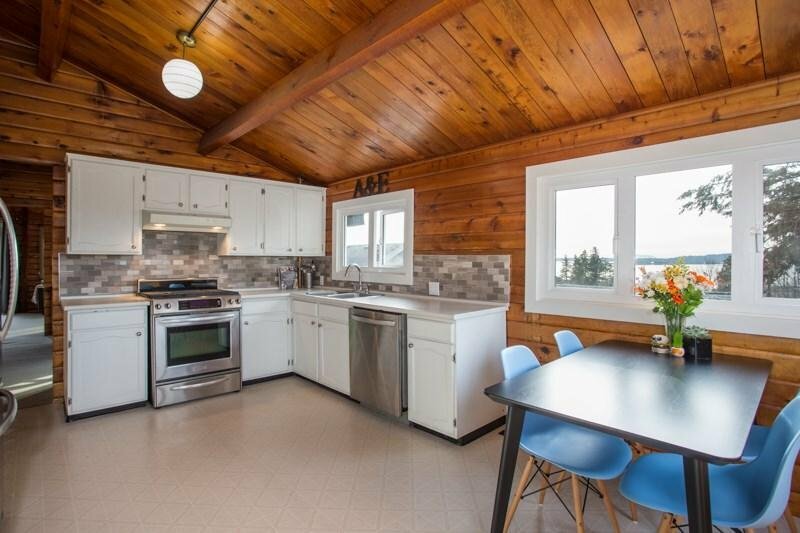 Newer roof and windows. 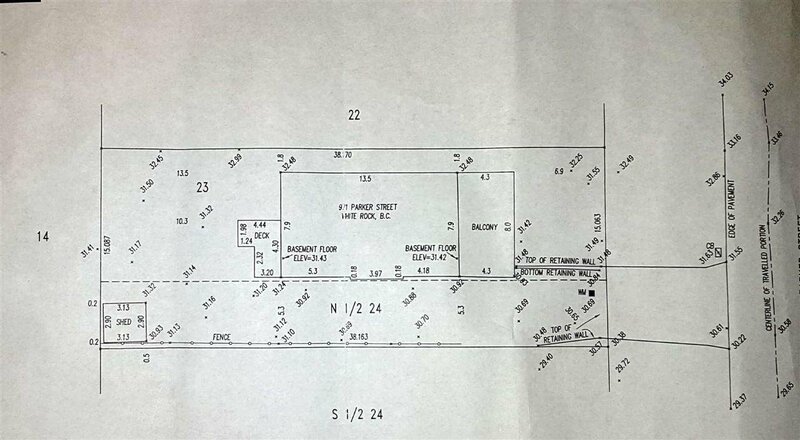 INCREDIBLE opportunity with 2 legal lots on this property.